This statistic presents the level trust of U.S. adults in social media companies in regards to safeguarding the personal data of their users. 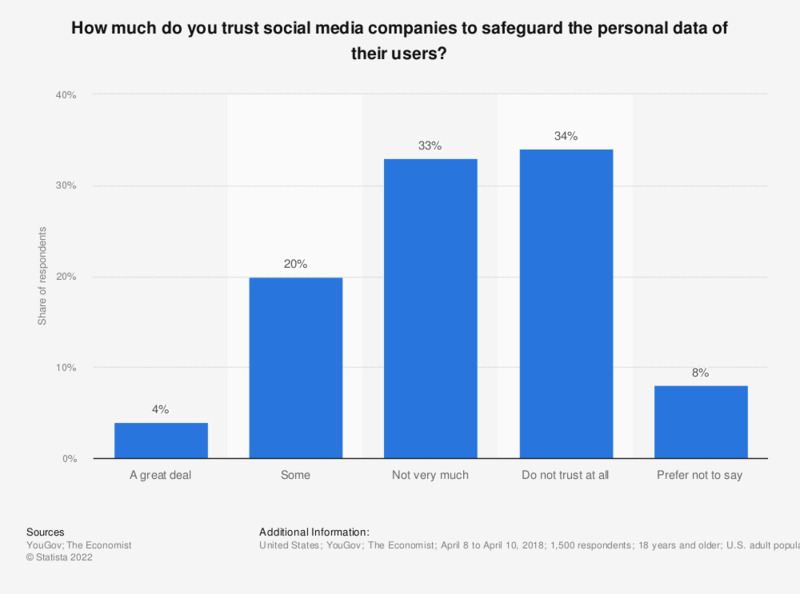 According to the April 2018 findings, 34 percent of respondents stated to not trusting social media companies at all in their capabilities of safeguarding their user's personal data. Question: "How much do you trust social media companies (eg. Facebook and Twitter) to safeguard the personal data of their users?"